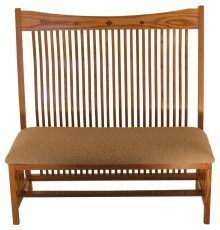 With over 100 different styles available, choosing the right Amish benches and hall seats for your entryway can be remarkably overwhelming. How many will you need? Where will they go? What style will work best in your home? These are all vitally important questions that you should ask yourself before you even start to try to narrow down your decision about which bench or hall seat to purchase. 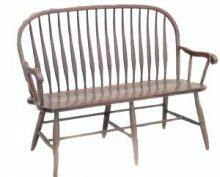 The first thing you should decide is how many Amish storage benches or hall seats you will want for your home, and where you’re going to put them. Would you like one for your entryway, one for your garage and another for the extra-wide hallway upstairs? Determine whether or not you’d like them all to match, or whether an eclectic paring is more your speed. This will help narrow down your selection. The second thing to consider is what style works best for you and your family. Will you want mission-style benches, benches with backs or multi-purpose hall seats? Once you have that decision made, your options will narrow — in some cases, more dramatically than in others. The third and final thing to decide on is the color scheme that you’ll want in your home. 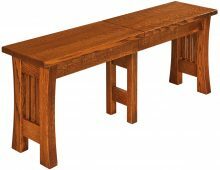 While some of these solid wood benches for entryway functionality and decoration come in a few different wood and stain options, others are available in only one option. Making this final decision in style could narrow your search for the perfect bench or hall seat to a manageable set of choices. Your bench or hall seat will likely be one of the first things people see as they enter your home, so its influence on your overall décor cannot be overstated. Make your house a home by decorating with woods, stains, styles and trinkets that reflect who you are as an individual or who your family is as a whole. While your décor and bench or hall seat should absolutely go together, they don’t necessarily have to match. Sometimes, choosing décor that seems out-of-the-ordinary can be the best way to complement a statement piece. For a matching natural theme, try incorporating flowers into your bench or hall seat, and for a complementary statement, try putting more modern pieces made of iron, steel or other metals near your solid wood hall seat or bench. 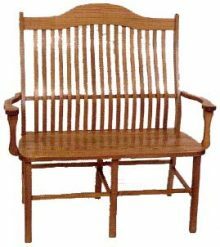 Most people but their wooden Amish benches and hall seats in their front entryway, so that it becomes one of the first things that catch a visitor’s eye. This placement is also fairly strategic, since they can also be used as a place to sit and remove shoes or winter gear. It can also become a storage area for jackets, hats and scarfs. Nevertheless, just because this is a popular location for these benches and hall seats doesn’t mean you have to put yours there. Perhaps you spend a decent amount of time in your garage and you need a nice bench for your spouse or children to use when they come to spend time with you out there. Maybe your hallways are a bit wider than usual and you’re looking for an interesting and visually appealing way to create a less expansive and empty feeling. Or, maybe it’s just the thing that your garden needs to pull everything together so you can enjoy an oasis getaway in your own backyard. 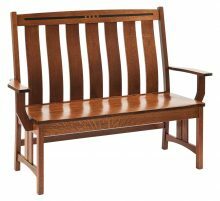 Wherever you decide to keep your mission-style bench or hall seat, be sure to take full advantage of the fact that they are designed to not only provide your home with a beautiful piece of craftsmanship, but also to provide you with that additional storage you’ve been craving. Know that a hall seat will ultimately provide more types of storage, but that you may be able to fit more into a mission-style bench if your goal is to keep the items you’re storing out of sight. Each provide their own benefits, so deciding which type of storage is more important to you is crucial to choosing whether you should invest in a hall seat or a mission bench. 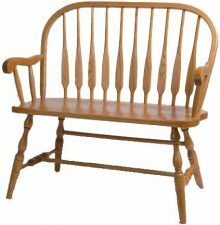 Each Amish bench and hall seat is handcrafted using only the finest woods. 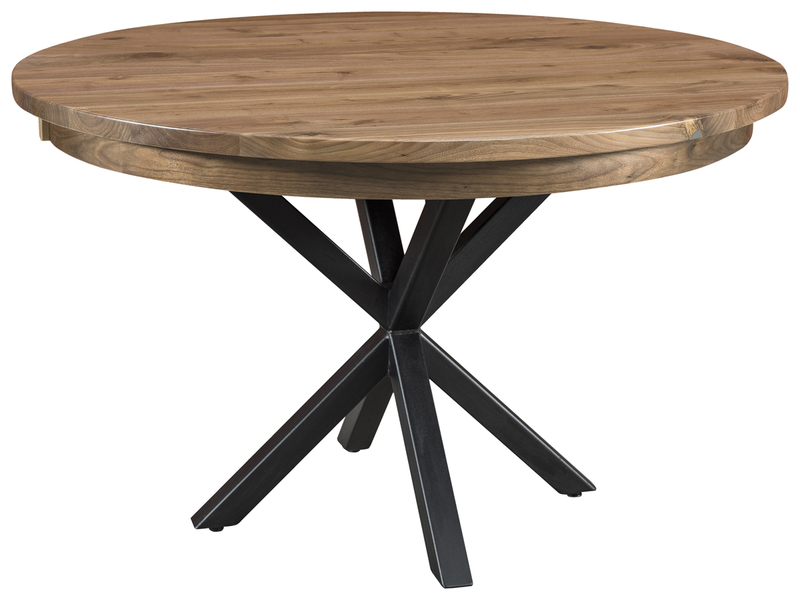 They are cut, assembled, sanded, stained and polished in-house so that we can guarantee you the best possible quality at the best possible prices without having to account for storage or distribution costs. Each piece is made-to-order, affording you the ability to customize your Amish benches and hall seats to make them as personal and unique as possible. 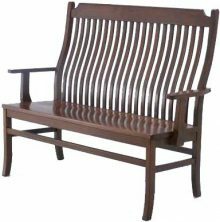 These solid wood benches and hall seats are crafted to stand up to years of use, provided you care for them properly. Depending on the finish of your bench or seat, you’ll want to clean it differently, since one method will not work universally across all finishes. Paint should be washed with a liquid soap that will cut through the grease that may accumulate on this surface. Stain and varnish should be damp dusted only. To clean unsealed wood, you’ll want to wash it with a wet and soapy cloth. Never apply water directly to unsealed wood. Veneer should be damp dusted if unsealed, and washed infrequently with a soft soapy sponge if it is sealed. To clean wood covered in wax, use soap flakes to make your own soapy wood cleaner, rather than detergent, because detergent can dull the wax. Be sure you always dry any wood after you wash it. Solid wood benches for your entryway are going to get a lot of use over the years, which is why it’s important to make sure you’re buying a quality product that can withstand this everyday wear and tear. The Amish are professionals when it comes to building durable and reliable furniture that you can count on for generations. When it comes to carpentry, the Amish are among the best, which makes finding a better crafted and longer lasting piece of furniture outside of their barn quite the challenge.